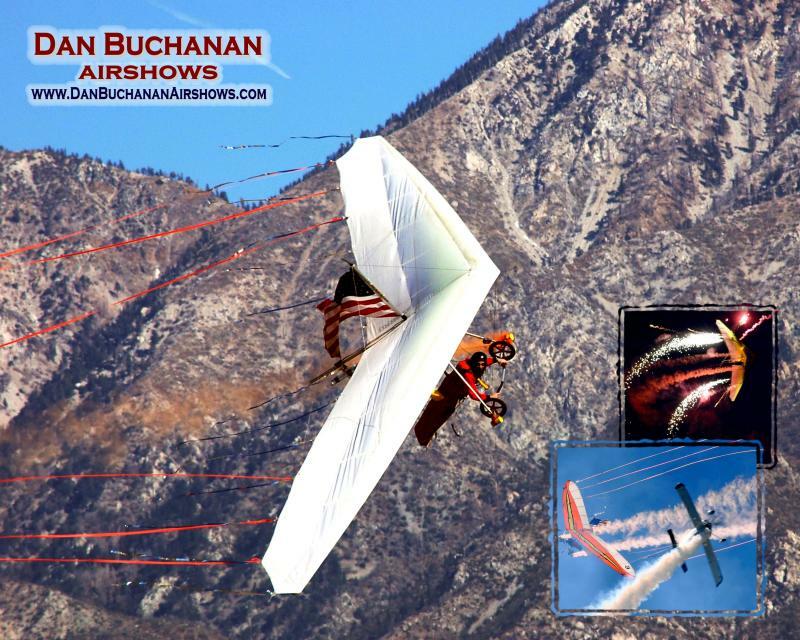 The first time I saw Dan Buchanan perform was at the Santa Rosa Wings Over Wine Country air show in 2007. They had a cool act where two stunt planes were performing when a hang glider appeared and went through the middle. It was really neat. At the end when the hang glider landed, a helicopter with a wheel chair hanging on a rope, came and lowered the wheel chair to the hang glider pilot. It was Dan’s chair. His legs are paralyzed. The crowd roared and clapped when he went by. This year at Watsonville I was lucky enough to see Dan perform and even interview him. Dan has become a very popular performer in air shows all across America and all over the world including Australia (8 times), Thailand, El Salvador, The United Arab Emirates, Canada, and Mexico. Me and Dan - he's so cool! His handicap hasn’t slowed him down at all. He’s logged over 2,800 hours of time in hang gliders and sail planes, scuba dives on wrecks and caves, and does long distance ATV riding and racing in the deserts. It was great seeing him fly and he’s a hero to me. Dan has some great videos on his website - check it out!